Home » Testimonials » "...Telling all our friends about how beautiful Greece is, how wonderful the Greeks are"
"...Telling all our friends about how beautiful Greece is, how wonderful the Greeks are"
As is is our last day in Greece and on this amazing 30 day adventure, I had to take a few moments to write to you and thank you, from the bottom of our hearts, for all you have done for us. Fantasy Travel, and its partner in Turkey, have exceeded our expectations. The transfer staff, notably, have all been amazing. Atilla in Turkey was so pleasant and knowledgeable. Did he tell you that we even ran into him in the streets of Taksim in Istanbul, and he recommended a visit to the Galata Tower which was close by? 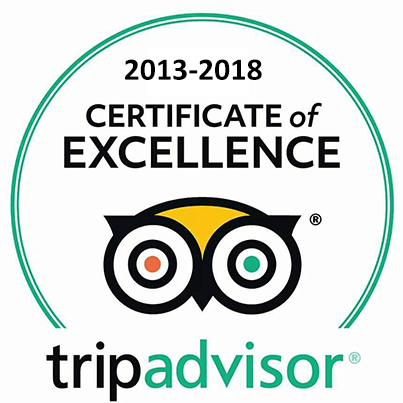 Without that recommendation, we never would have thought of going up that tower and we would have missed the best views of Istanbul of our whole trip! Efi in Santorini was very kind and helpful too, explaining thoroughly where we should go, and even made arrangements for a car rental for us. Everything was seamless and perfect. Cristiane, here in Athens, as been particularly wonderful and of great assistance. Upon picking us up at the ferry, we had many questions for her about Athens and how to make the most of our little time here. She provided perfect recommendations which we followed upon, and our stay here has been magnificient as a result. But beyond this, she found a solution for us, on very short notice, to make sure we could see the Acropolis before leaving Monday morning. Due to the election on Sunday, we found out that we could not visit this site, as planned, on Sunday. I called Cristiane Saturday night to explain our disappointment, and she did all she could to help us find a solution. Which she did!! She rearranged our transfer plans for tomorrow morning so that we could be picked up from the Acropolis instead of the hotel, giving us about an hour to see this site before leaving for the airport. I cannot tell you how grateful we are to her for this. Clearly Fantasy Travel knows how to hire professional staff, perfectly suited to the hospitality and travel industry. Doing so is a great reflection on your employer, and can only result in attracting more business for you, but also for Greece. We have LOVED your country and will be telling all our friends about how beautiful Greece is, how wonderful the Greeks are, and how a trip here should be organized by Fantasy Travel!! This was our first experience working with a travel agency for our travels, and you have made this experience an effortless, enjoyable, perfect one. I am aware that you are all a team, but a special and very warm thank you goes to you Paula, as you are the one who coordinated it all for us. Your recommendations were excellent, and notwithstanding our unfortunate experience in Kusudasi, every place we stayed at was beautiful, very pleasant, perfectly situated, and a perfect fit to our likes and expectations. For that, a million thank yous indeed!! My warmest regards and deepest heartfelt gratitude for making this trip a trip of a lifetime!